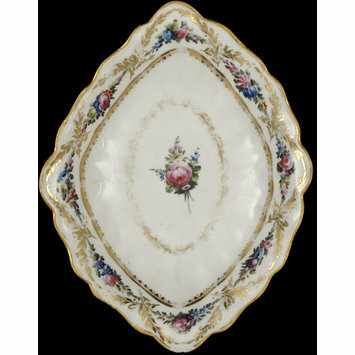 Lozenge-shaped dish with undulating edge and moulded rim decorated with a border of flowers in compartments formed by gilt laurel branches. 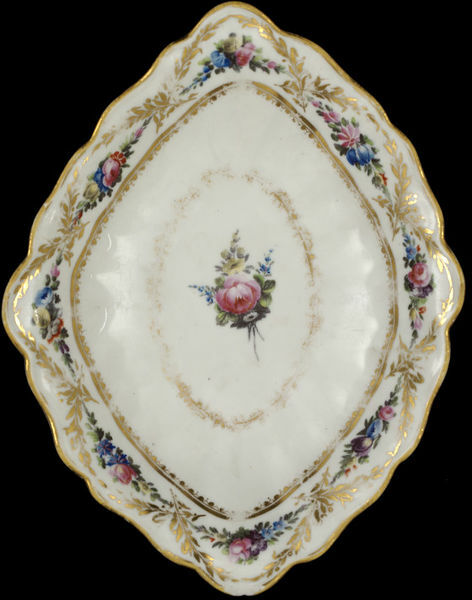 In the centre is a bouquet within a gilt oval wreath. Given by John Haslem. Transferred from the Museum of Practical Geology, Jermyn Street. Honey, W. B. 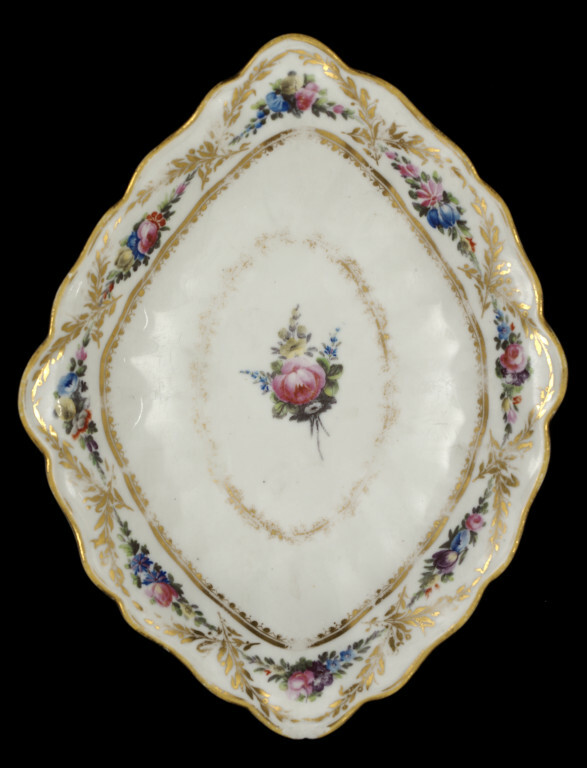 Old English Porcelain. London : Faber&Faber, 1948. 126 p.